Along with UK Championship in December is moving back to York, a new format will also be launched. Matches in early rounds will be shortened. There will be a two table set-up at the venue, Barbican Centre instead of four. Under this situation, both tables have large chances to be televised. We can know what's going on on the two tables to avoid missing some exciting matches. Starting from the qualifying rounds up to quarter-finals of UK Championship, all matches will be reduced to best of 11 and played in 1 session only (all are in best of 17, 2 sessions originally). As usual semi-final is in best of 17 while final is in best of 19. In my opinion, it is not bad to have two tables in process but not four. Fans do not need to worry about cannot see their favourite players working on the table. However I am not keen on the shortening format of UK Championship. UK Championship is another tournament apart from World Championship using the long format. I understand the short format is due to development of TV. Now people prefer short and fast matches because they will not spend several hours to watch a match that include two sessions. But I really love the long matches, it can test the mental strength of a player. I love seeing some players comeback from behind, long matches always produce excitements. Long format sometimes brings recovery for players falling behind after the first session. Several comebacks are seen in the last year's UK Championship. Eventual winner John Higgins fought back from 2-7 & 5-9 down against Mark Williams; Runner-up Mark Williams reached the final by winning 9-8 after trailing 6-8. Snooker needs to change in order to suit the world. In the coming season, World Championship will be the only tournament with long format. 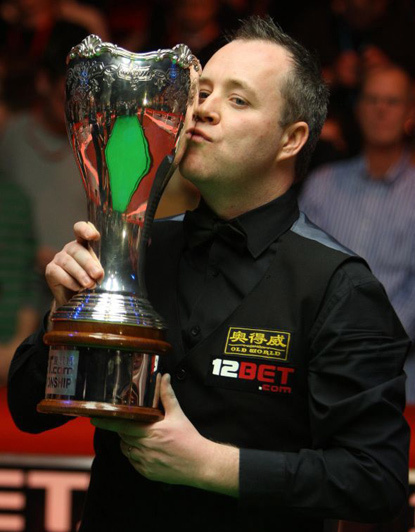 Could the new format for UK Championship bring it success? We'll find it out in December.